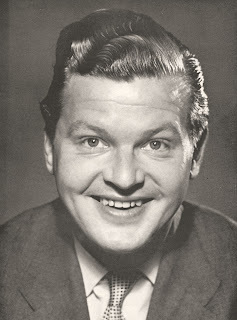 By the 1980s, The Benny Hill Show was suffering falling ratings and was becoming increasingly more expensive to make and changing attitudes saw much criticism of the perceived sexism in his comedy. The cancellation of his Thames series in 1989 appeared to be the beginning of the end for him. Frankie Howerd however, was making something of a comeback during his later years, touring with his one-man show and becoming an unlikely hit with university audiences. I personally love the work of both, Up Pompeii in particular for Howerd, with his little asides to the audience and Benny Hill was probably at his best in the 1970s; trawling through DVDs of The Benny Hill Show for this period has been a delight. Despite the bashing he got in this country in his later years, he remained popular abroad; I have a Hungarian DVD featuring mainly his slapstick routines, brought back by my son off holiday a few years ago. May they both rest in peace and their influence live on. San Ferry Ann is a short (55 minute) British silent film made in 1965, involving a motley collection of holidaymakers let loose on an unsuspecting Calais for the weekend. Amongst the crew are Mum (Joan Sims), dad (David Lodge), grandma (Lynne Carol - Martha Longhurst in Coronation Street) and grandad (Wilfred Brambell), who arrive in a Bedford CA caravan, whilst a pair of lovers, off for a romantic sojourn, are played by Rodney Bewes (by this time a Likely Lad) and Catherine Feller, pitching up in and old MG and never leaving the hotel. Two hitchhikers are wiggling Barbara Windsor and accident-prone Ronnie Stevens, who had played the drunk in Carry on Cruising three years previously. Other well-known faces to turn up include Warren Mitchell as a waiter, Fred Emney as a Frenchman with a comedy plaster-cast on this foot, Hugh Paddick, Ron Moody and the marvelous Graham Stark as a bemused Gendarme. At the very end of the film, we see our hitchhikers heading home to blighty. Barbara Windsor uses her obvious charms to thumb a lift in a passing Peugeot 404 (leaving her companion behind a hedge having a wee). He has the last laugh however, cadging a lift with a pretty girl in an MGB, passing the Peugeot with it's bonnet up. Not a bad little film, perhaps a little long, but plenty of smiles along the way, if not many actual laugh-out-loud moments. There is much for the car enthusiast to savour, lots of French classics, not to mention the array of British motors that frequently crop up, and of course the British comic actors featured are always good value. My copy came as a triple DVD pack along with Simon Simon and A Home of your Own, both of which I will review in due course, all for £4.99 at our local branch of Works.